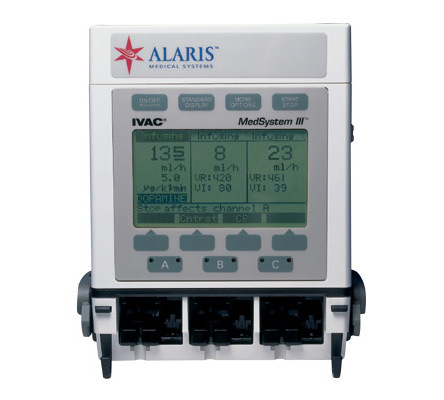 Buy or rent pre-owned, recertified Alaris® Medsystem III you need today. All pre-owned medical equipment is patient ready equipment and is covered by an OEM matched warranty. Model 1555, 7.5 VDC @ 1A with 10ft (3.05 meter) cord. Model 15508.5 VDC @ 750mA with 8.5 ft (2.59 meter) cord. 4 pin locking connector is standard on Model 2863. Detachable connector is standard on Model 2860.